By late October Elijah Long knew where he was going to college. But by the time he graduated from John Carroll this spring, he was back to square one. Long, a 6-foot, 182-pound point guard from suburban Toronto, had re-opened his recruitment in April, mutually parting ways with Florida Gulf Coast for a variety of reasons. Junior college, a prep year, or another four-year university in the U.S. or Canada were all potential options. Enter Mount St. Mary’s coach Jamion Christian, who offered Long a scholarship last month. The former Patriots star accepted the offer last week. Fans be sure to follow us on twitter @RecruitRecon and "Like"
our Facebook page Recruit Recon for all mid-major & low-major conference news. Since Jack Vukelich was still mighty, mighty early in the basketball recruiting process — the Trinity youngster had only wrapped up his sophomore year a few weeks earlier — he was really surprised when Jamion Christian nonchalantly made a comment the 16-year-old will recall as long as he lives. “He just kind of brought it up in a conversation,” Vukelich related recently. With the recruiting period in full gear, we have complied a list of our Recruit Recon Under the Radar players. The athletes listed in no specific order are Low to Mid-Major prospects. Listed with each prospect will be schools that submitted offers and or have shown interest. We have complied our Patriot League VERY EARLY predictions. Bucknell and Holy Cross look to be strong with young teams. AU looks to make it back to the NCAA Tournament with a few NEW transfer's to this year's squad. With the Class of 2014 recruiting class basically set, we have put together our Northeast Conference (NEC) recruiting class rankings. Mount Saint Mary;s leads the pack with a VERY solid 7 man recruiting class that includes 2 very highly touted transfer's. The Mount will also have Kristijan Krajina back for a 6th year after a serious knee injury. The Mount will also have redshirt freshman Charles Glover in uniform after a knee injury cost him his season. Second year Head Coach Greg Herenda of FDU also brings in a solid 5 man recruiting class including highly touted Albany Transfer Stephan Jiggetts, Jiggetts will be available after the 2nd semester. St. Francis (NY) also brings a solid nucleus back with a 3 man recruiting class. With all programs settling in with their Class of 2014 committments, we have decided to do our own "Recruit Recon" MAAC Predictions. Our predictions are NOT affiliated with any other organization. Below you will see our standings order along with POY and ROY candidates. With the NBA Draft right around the corner on June 26th, we have decided to come up with our very own "Recruit Recon" mock draft for the 1st and 2nd rounds. The draft is very deep with High Major and Mi-Major Prospects. It was very tough trying to project a clear #1 Pick as there are 3 athletes that are worthy of the #1.We have also projected several low major to mid major athletes in getting drafted as well. With the college hoops season over and UCONN still celebrating their Championship the coaching carousel is in full swing. There has been just under 40 job openings with most being filled. There could be more on the horizon as head coaches are peiceing together their coaching staff's. With the college hoops late recruiting period heating up and AAU in full swing, I had the opportunity to conduct a Q&A Interview with Class of 2016 Prospect Gabe Pelak. 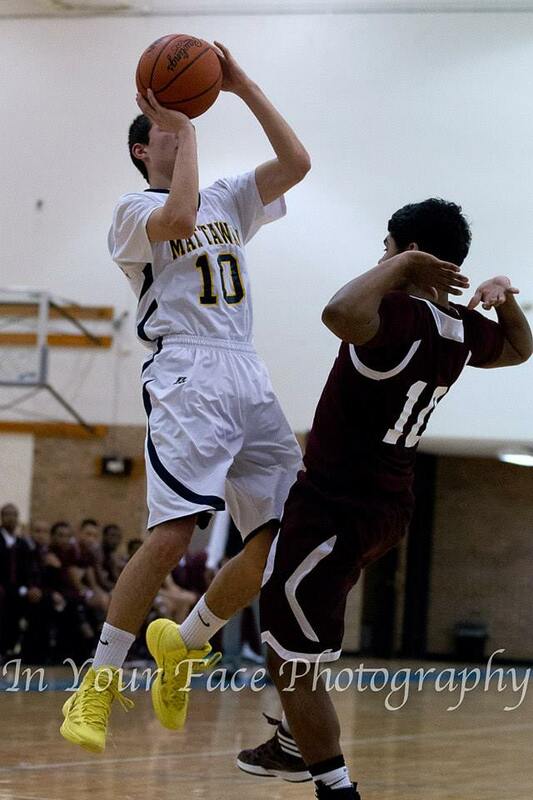 Gabe is a 6'2'' combo guard from Mattawan (MI) HS. He is flying under the radar with his continued hard work on and off of the court. Gabe is starting to gain interest from several mid-major programs as he prepares for the 2014-2015 season.